Early Earth would have been a hostile place. But is it where life began? One theory of how life began is that in the primordial soup of Earth billions of years ago non-living chemicals reacted together to make RNA molecules that could self-replicate — and life began evolving from there. New research from Harvard suggests it’s possible — but the RNA might not have been the RNA we know today. In a paper published in the journal Proceedings of the National Academy of Sciences, the researchers suggest that RNA could have started with a different set of building blocks. RNA today has four nucleotides — adenine, guanine, cytosine, and uracil. The paper, published by Jack W. Szostak, Nobel Prize-wining professor of chemistry and chemical biology at Harvard, along with first author and graduate student Seohyun (Chris) Kim, suggests that RNA could have started with a compound called inosine in place of guanine. “We propose that inosine could have served as a surrogate for guanosine in the early emergence of life,” the study said. “Our study suggests that the earliest forms of life may have arisen from a different set of nucleobases than those found in modern life,” Kim said in a statement from the university. 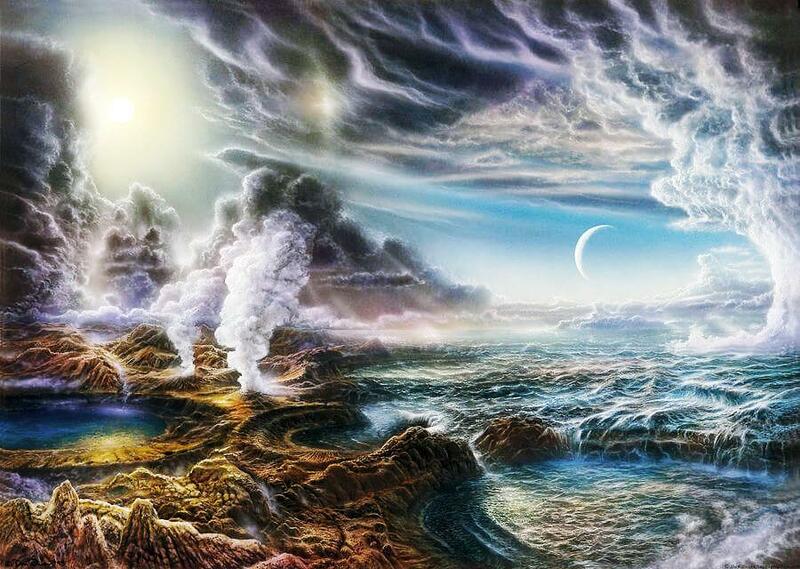 Scientists have been pursuing for decades the theory of abiogenesis, the idea that life arose from non-life as chemicals on a forbidding early Earth were roiled by ultraviolet rays, geothermal activity, asteroids, and lightning. But the quest to create simple life in a lab has turned out to be more challenging than initially thought. One theory is the “RNA world” hypothesis, which suggests that there was a period on early Earth when there was an abundance of RNA life. RNA can carry and translate genetic information as well as drive chemical reactions. Szostak’s lab is focused on “the synthesis of simple living systems, in the hope that that this approach might give us clues as to how life began spontaneously on the early Earth,” he said in an article last year. Kim said Monday in an interview that the researchers theorize that the RNA molecule with inosine, at some point, could have evolved into today’s RNA molecule, with guanosine in place of the inosine because guanosine provided some evolutionary advantage. Kim said the study “very much is an extension of the RNA world hypothesis. Hopefully, what our study has shown is that maybe this RNA world could arise from an RNA molecule structure very similar but not identical” to today’s RNA.